Thank you for visiting our Pittsburgh! If you plan to use AMSOIL often or use it exclusively you may want to join as a Preferred Customer. Please mail or fax in our Preferred Customer Form with the Preferred customer portion filled out. Your order will be shipped from the Duluth distribution center or you can pick up from our area dealers. If you wish to change oil at OEM intervals or sooner please consider our new OE "Origional Equipment" line of Synthetic Oils - these are our lowest cost oils and are less in cost than Mobil 1 and others. 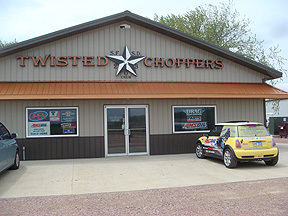 See our full line of AMSOIL motor oil choices here. For the Diesel Line we offer in Pittsburgh look here for the whole line. Call for local price. Your #1 dealer in the State is right here in Pittsburgh PA! 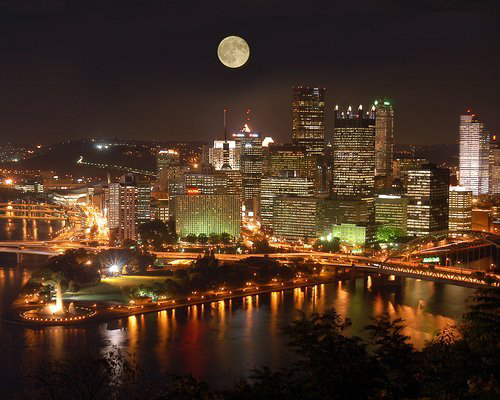 Serving the following areas in and around Pittsburgh, Pennsylvania including: Upper St. Clair, Mt. Lebanon, Baldwin/Whitehall, South Park Bethel, Park Bridgville, South Fayette, Greentree, Robinson Township, Fox Chapel, Sewickley, Washington County, Westmoreland County, and Butler County. 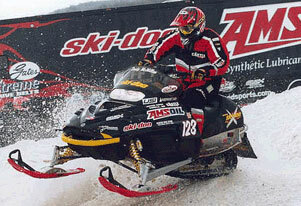 Get your snowmobiles ready with our AMSOIL 2-cycle injector Interceptor or our Formula 4-Stroke 0W40 for max performance., AMSOIL oils are not sold at crazy inflated prices like the OEM brands, but we can offer you better protection when you stick with AMSOIL - The First in Synthetics in Pittsburgh and in the US! We now have a lower cost solution for all 2007 and newer diesel trucks requiring CJ4 rated oil. Amsoil DEO 15W40. 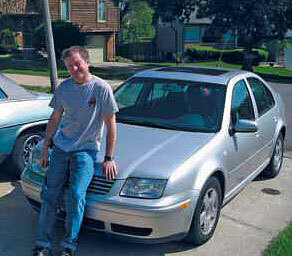 Costs same or less than comparable "Full Synthetic" diesels. This product is new and starting to get widely known. AMSOIL Coolant Boost. Works best with simple "soft water" or tap water. Excellent corrosion resistance. Outperforms Redlines Water Wetter. Volkswagen & Audi "European Motor Oils"
VW and other makes require specific engine tests the oil must pass to be warranty compliant. AMSOIL now has two top sellers to compete with the very expensive and hard to find OEM 505.01, 504 and 507 VW requirements. Check out our European 5W40 and the New 5W30 oils. Closeout - Complete line of Mothers Car Care Products available to Dealers and Preferred Customers at wholesale pricing! "Three primary factors are normally responsible for oil failure"
Oil that becomes too thin, too thick, or too acidic has exceeded its useful life. Fortunately, a number of different tools are available that measure motor oil’s condition and its ability to continuously protect and perform its other key functions. When motor oil exceeds its useful life or is impacted by a mechanical defect, it most commonly becomes too thin to separate metal parts, too thick to pump or too acidic for continued use. or viscosity. Viscosity at 100 °C is one of the most highlighted oil properties and is a good indicator of adequate oil film thickness in an engine at operating temperature. engine protection. As motor oil cycles through the engine, it is exposed to shear stress in the engine’s upper end, piston walls and bearings that reduces its shear strength. Continuous exposure to these conditions causes oils built with inferior shear stability to thin excessively, leaving critical engine parts susceptible to metal to metal contact. oil, resulting in metal-to-metal contact that can lead to catastrophic engine damage. level of saturated molecules that inherently resist this constant bombardment. Additionally, antioxidants are added to either reduce the formation of free-radical oxidation precursors or soak up these precursors once they form. in mechanically unsound engines. Diesel oils are designed to handle some soot contamination, but when the soot overloads the available dispersants in the oil, the oil thickens. The agglomerated soot particles reach a critical size and cause excessive wear commonly seen in diesel liners. can cause significant damage if left uncorrected. in check and engines running for a long time. It took the increase in fuel prices for a new wave of customers discover what AMSOIL has had to offer for 34 years. What are you waiting for? Call us at 412-848-2133. We are right here in the easy accress part of Pittsburgh. We also did a study with Nordic Waste saving excessive seasonal costs on their expensive fleet. When using AMSOIL, you may want to consider the By-Pass filtration systems. Change oil at 100,000+ oil intervals. 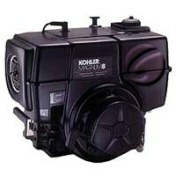 Just change the full flow (EA OIL Filter) and EA series Bypass filter and by-pass unit at intervals and top off. 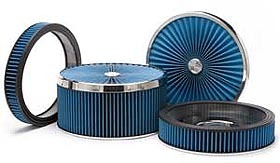 We recommend oil analysis after each cycle of new bypass filters (2-micron nanofiber) filters at least to monitor so you have full knowledge of the life and superiority of the AMSOIL product. We have prepaid shipping kits available. (order KIT-02) We recommend using Oil Analyzers as they specialize in synthetic oil testing. AMSOIL's ASE Commercial Grade 100% Synthetic 10W30/.SAE-30 has become my favorite product to sell here locally to homeowners here in Pittsburgh. Number one, the original design feature was extended engine life and high temperature performance but it's now selling just fine due to the fuel consumption reduction. Don't discount the quality of the fuel in your small engines. We know ethanol is not escapable in the Pittsburgh-Allegheny area. Ethanol really puts the stress on small engines and small fuel tanks because of "Phasing" which causes water to separate out of the fuel eventually causing a lean condition which is keeping small engine shops in the Pitts Metro area busy. Also you want to remove deposits in both small 2 and 4 stroke engines. AMSOIL has a new product which made SEMA product of the year for 2010 - CalledQuickshot SE. Check it our and call us to test for yourself. Motorcyclists are responding with testimonials of improved mileage of up to 20 more miles per tank! MCV Amsoil 20W50 motorcycle oil. When temperatures reach 100 degrees you need AMSOIL to not only hold it's viscosity (guaranteed for a year or 10,000 miles) but to control thermal runaway. 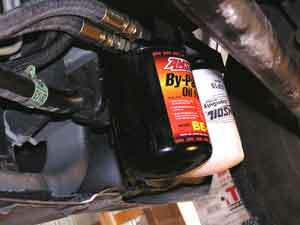 Our #1 draw from the Harley oil is temperature drop. As much as 20 degrees as reported by our local Pittsburgh customers. AMSOIL AFL 505.01 and other Spec oil for VW, AUDI and other european manufactures such as Mercedes Benz. The OEM basically charges up to $12 per quart for their low quality oil. AMSOIL offers the alternative here in Pittsburgh!